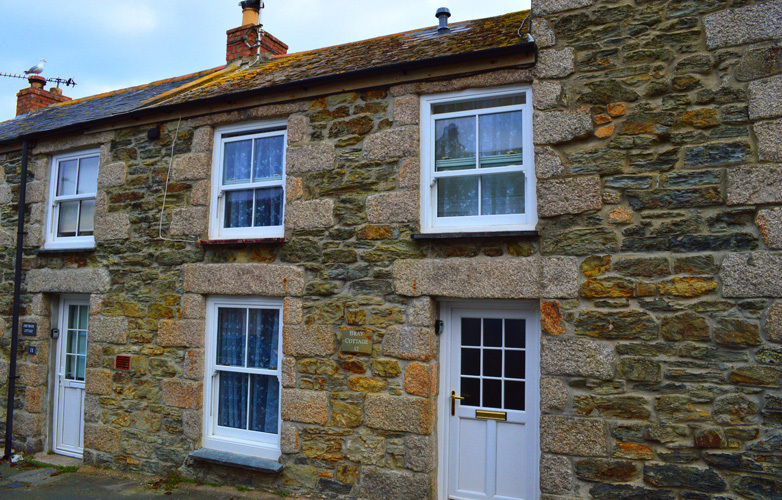 This traditional stone Cornish Fisherman’s cottage is nestled in one of the oldest parts of Porthleven, right in the heart of the village. 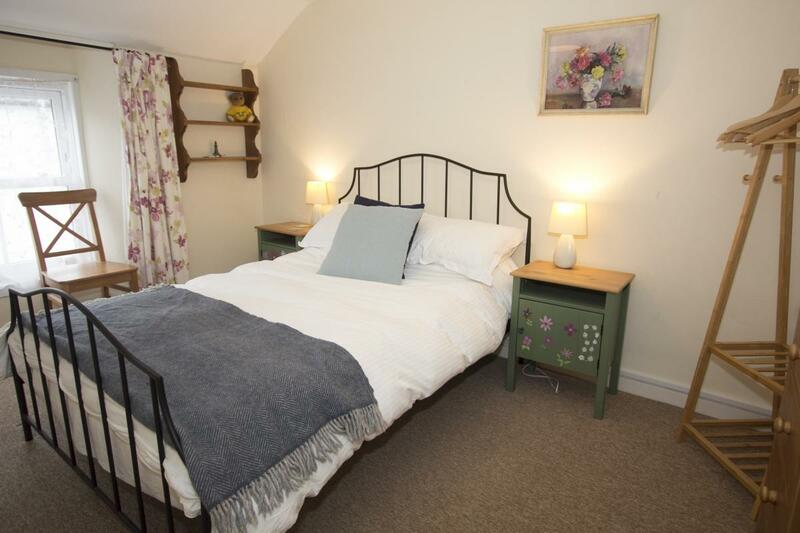 This cottage provides all the modern comforts whilst retaining the attractive original characteristics of the old cottage. 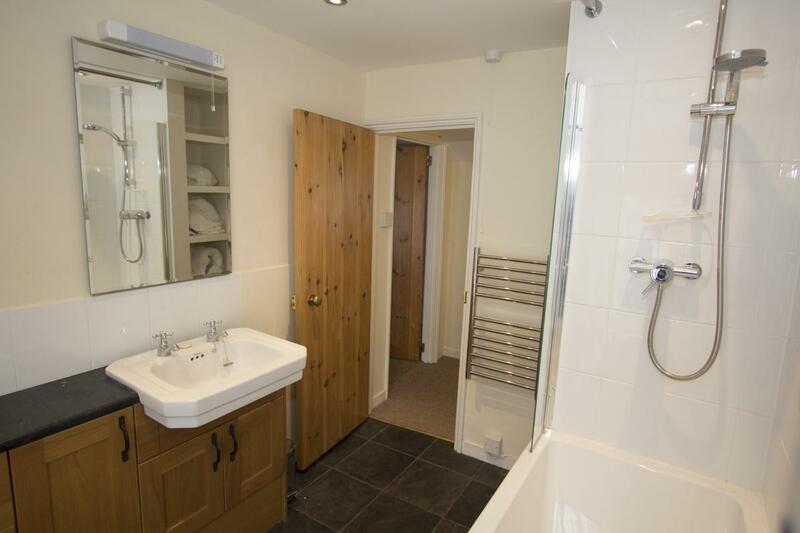 Close to all the village amenities and just a short stroll from the harbour. 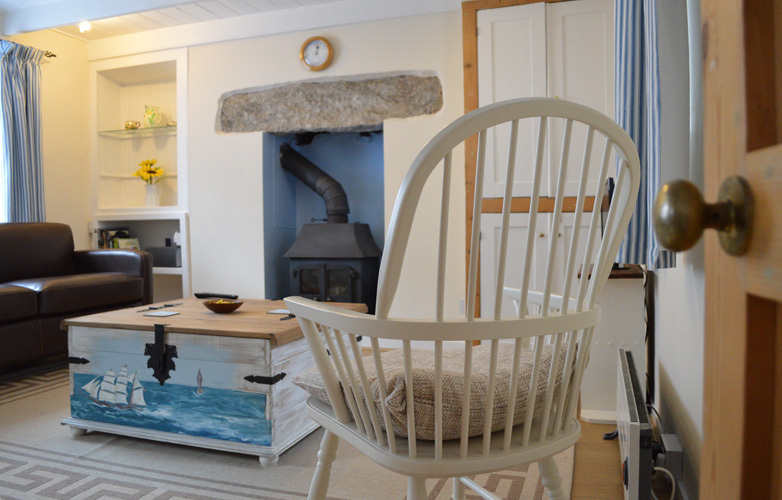 A wood burning stove in the delightful cosy lounge makes Bray Cottage a lovely place for couples looking to stay in a historic Cornish cottage. This one was originally built around 1850. It is close to the centre of Porthleven, the beach, the harbour and the South West Coastal Path, yet is peaceful and quiet with little passing traffic. The accommodation is set on three levels. 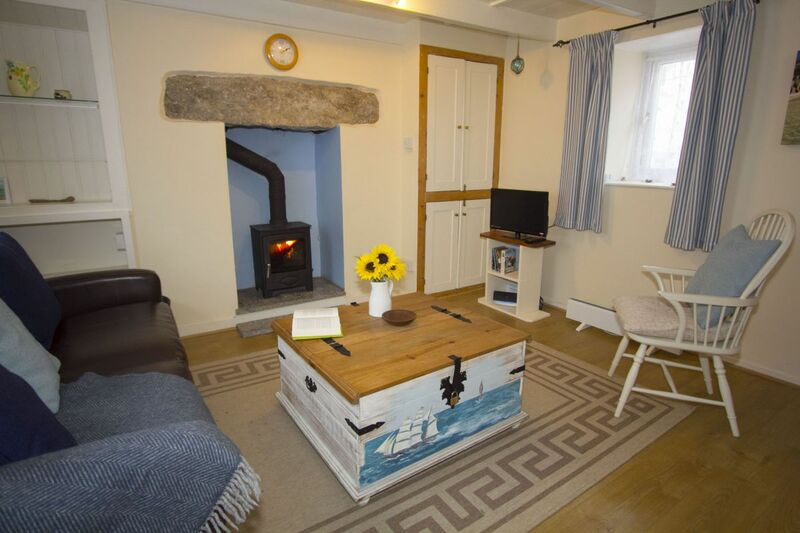 On the ground floor is a light and warm sitting room with comfortable sofa and new wood burning stove, perfect for relaxing after a stroll across the beach or meal out in one of the many quality restaurants in the village, whether it is summer or winter. On the lower ground floor is a brand new (2018) kitchen with oven, hob, microwave and washer/drier. There is a door out onto a small patio to the rear of the cottage which is useful for drying clothes or surfboards and wetsuits. 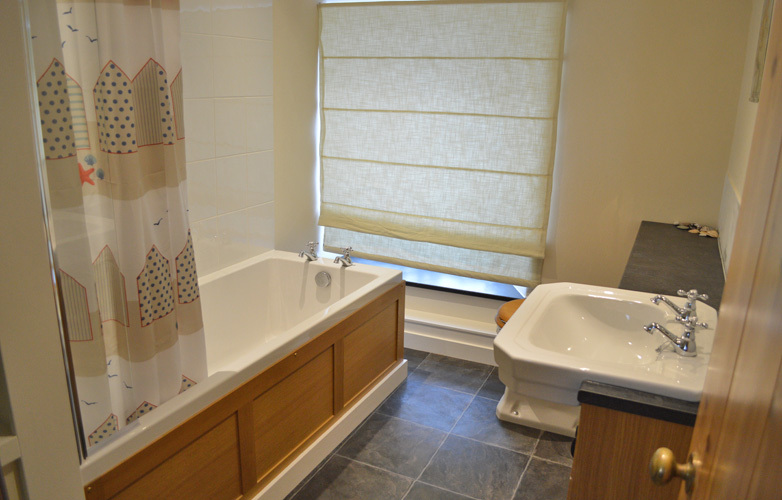 On the first floor is the double bedroom and lovely bathroom with overhead shower. Heating is provided by modern, efficient electric panel heaters and supplemented by the wood burning stove. 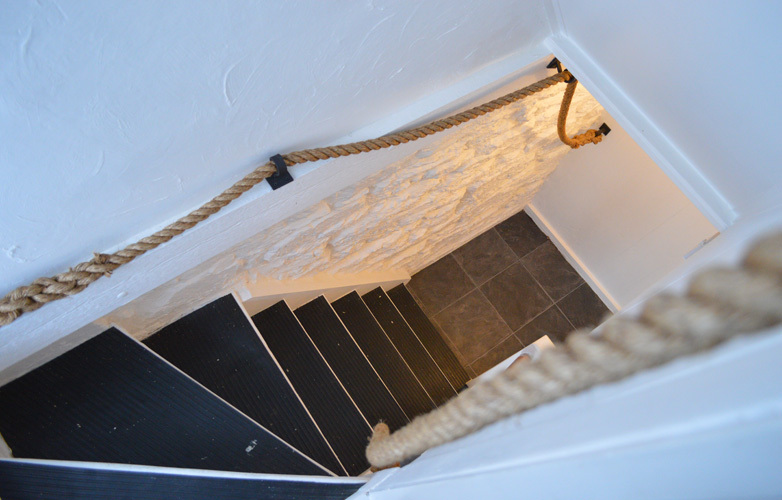 This cottage has 2 steep staircases (not suitable for people with mobility problems) so please take care when using them. Due to the characteristics of this property some ceilings heights are low. Lovely house, so well situated to explore the area. A very welcome break with many adventures. Great location, very cute home, ideal for two. Had a great week's holiday. Thank you. Lovely cottage and location. 3rd stay in Porthleven, we love coming back. We had a fantastic stay in the cottage. Loved all teh local restuarants - a real gastro delight. Village offers this and quality shops selling arts and crafts. The accommodation has been completed to a very high and comfortable standard and the lack of sea view is made up by the 3 minute walk to the harbour. We have had a lovely stay in Bray Cottage. Great location and a lovely, cosy place to come home to at teh end of a busy day. Perfect mix of modern and harbour cottage. Thank you PHC - our third holiday with you, & another beautiful place to stay. 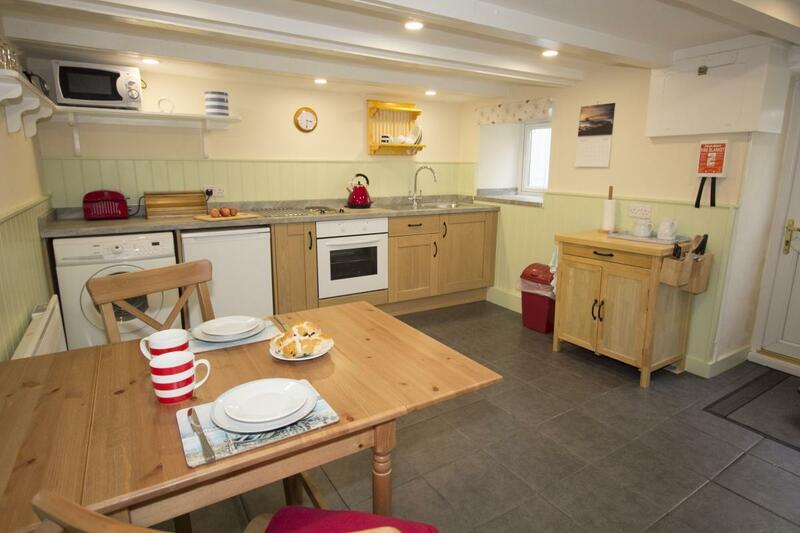 Leisurely walks, eating out, relaxing at the harbour-side & enjoying Bray Cottage made each day in Porthleven perfect!